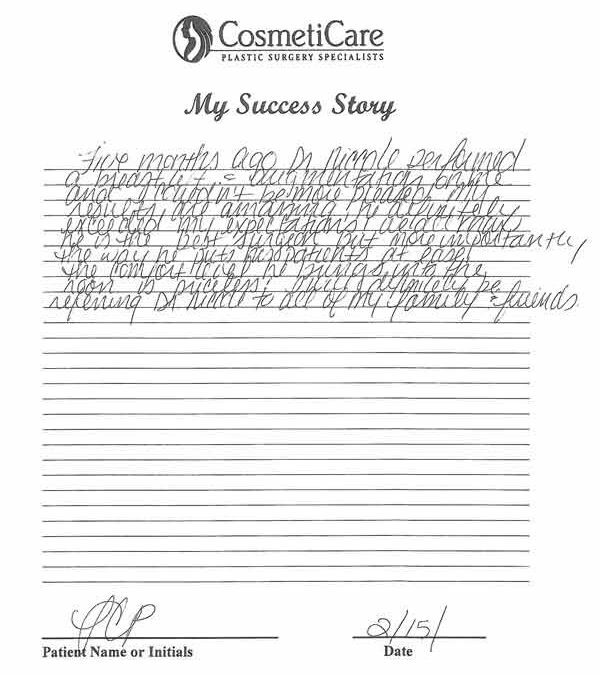 Five months ago Dr. Niccole performed a breast lift and augmentation on me and couldn’t be more pleased. My results are amazing. He definitely exceeded my expectations! We all know he is the best surgeon but more importantly the way he put his patients at ease. The comfort level he brings into the room is priceless! I will definitely referring Dr. Niccole to all of my family and friends.